After all of the anxiety, nervousness, and worry has finally culminated in a final report for the court, what happens next after the custody evaluation has concluded? Truth be told, it’s not very often we ever see that a custody evaluation results in something other than a child custody court hearing date. If the report is in your favor – you’re going to a child custody hearing. If the report is against you – you’re going to a child custody hearing. If the report is neutral – well, you’re probably going to a child custody hearing anyway. Many a lawyer will tell you that the family court puts “a lot of weight in the custody evaluator’s report.” I can’t tell you for sure that’s the truth or not. What I do know is that it is not the be-all end-all of the custody matter that is implied. 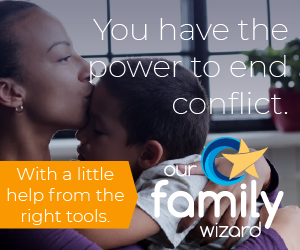 It’s simply another tool that the family court judge may use (and likely will use) when making their assessment of your situation. This will be done in conjunction with a number of other tools, such as psychological testing, criminal or police reports, behavior in court, and the actual testimony. Your options are quite limited knowing that the overwhelming majority of the time – you’re going to a child custody hearing. Therefore, our focus will be on a possible, albeit unlikely, “non-hearing” outcome. Negotiating a settlement in the aftermath of the custody evaluation and the evaluator’s report. If the report is in your favor, you’re likely to be disinclined to negotiate much of anything. However, keeping in mind that child custody hearings are expensive, they are sometimes lengthy, and the outcome isn’t a foregone conclusion – even with a favorable report. Depending upon the severity of the issues you have with your ex-partner, coming to a reasonable parenting arrangement may be something you want to do. If there are legitimate, supportable fears about the health, safety, and welfare of the children – you may want to go straight to court. If your concerns don’t rise to that level, you can leverage a favorable report to get the settlement done and save yourself a lot of grief and expense. If the report is not in your favor, don’t panic! Keep in mind, it’s one item for consideration by the judge. Don’t make the mistake of giving up a sizable chunk of the parenting time you’re seeking because you believe that a custody evaluator’s recommendation is going to be rubber-stamped by the judge. Further, it doesn’t necessarily make any sense to do that rather than to go to court and take your chances there. “Giving up the farm” without trying to take issue with the report and its recommendation doesn’t make a whole lot of sense. We’ve heard of more than a few people who have taken very little custody in the aftermath of a “lost” evaluation rather than challenge the evaluator’s conclusions, calling the custody evaluator to testify, and be held accountable for their conclusions. Negotiate with a great deal of thought and focus. Don’t be in a rush to make a decision when you consider that mistakes can be made that would see you give up valuable time with the children that isn’t justified or worth having a hearing for. Keep in mind that there in a high-conflict situation, a hearing is unlikely to be avoided. However, regardless of whether the report is favorable towards you or your ex-partner – if cooler heads do manage to prevail, you may both discover that a common ground can be reached regarding child custody without either side having significantly restricted time with the children. After all, that’s who this whole process is supposed to ultimately benefit. Absent any true issues with parental fitness, willingness, or significant logistical issues, the kids should get as much time as possible with each parent in the aftermath of a divorce. My experience as a custody evaluator is that sometimes the custdoy evaluation can be a basis for settlement discussions between the parties. Obviously at other times the report only encourages further litigation. Sometimes, however, I’ll review a report for one side and frequently discover errors of omissions and comissions. That is, things the evaluator didn’t do but should have or things they did but shouldn’t have. For example, some evaluators don’t do psychological testing, yet many state guidelines or factors for Courts to consider custody issues require the evaluator to comment on litigants’ mental health. When an evaluator makes a comment on a person’s mental state without testing, the basis for such comments sometimes can be challenged? Testing can provide a basis to generate hypotheses regarding a person’s abilty to parent. Presenlty no personality test measures parenting ability, but some of tess can be used to hypothesize a personality characteristic that may interfere with a person’s ability to parent. Some evaluattors use a computer printout for the test interpretations; frequently these can be challenged. Sometimes evaluators do testing but some of the tests used are more suited for clinical practice than for the forensic arena. While many projective tests are not appropriate for use in custody cases and this is well documented in the forensic literature, some evaluators use them routinely. Courts have standards for admitting evidence and if a test does not meet the high standards for admissibility then they should not be used. Many lawyers might know about the standards, but if a report is favorable to their client they just might want to “sneek” it into evidence. Judges are like anyother human being; if it’s in writing it must be true and beside the author of the report may be known to the Court and have an impressive list of degrees. You would be surprised at how many evaluations are well below forensic standards yet are amitted into evidence and many times heavily weighted in the Court’s decision making. The only defense is to have what’s called a “peer review” of the report and even better the entire file. Thank you for the valuable information Dr. Evans. I want to add that I wouldn’t actually be surprised at how many evaluations are well below forensic standards and are still treated very highly by the court system. I would venture to say that it’s greater than 50%, but that is very loosely based on the experiences I have involving those with whom I interact.